I’ve always wondered whether one of the online poker companies would release a real money app for mobile phones. 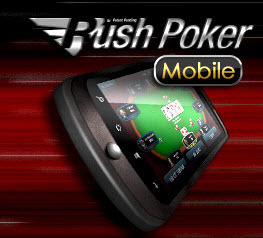 Well Full Tilt Poker has just done that by releasing their “Rush” poker game for Android phones. If you haven’t played Rush poker it’s a lot of fun because if you want to fold your hand at any time you can and then be immediately taken to another table. This allows you to play many more hands than you normally would. This keeps you always in the action and you never have to be bored waiting for hands that you aren’t in to play out. The app also allows you to use play money so that you can learn the game or stick to that way too if that’s all you want. If you’re not familiar with Full Tilt’s Rush Poker you can learn more by visiting the Full Tilt website by clicking on the banner below. Once you are at the website you will see a banner in the lower right that links to the Android app. And lastly I just seen what I’ve been hunting for . Wonderful thing you’ve got this info. It is brilliant info about poker.